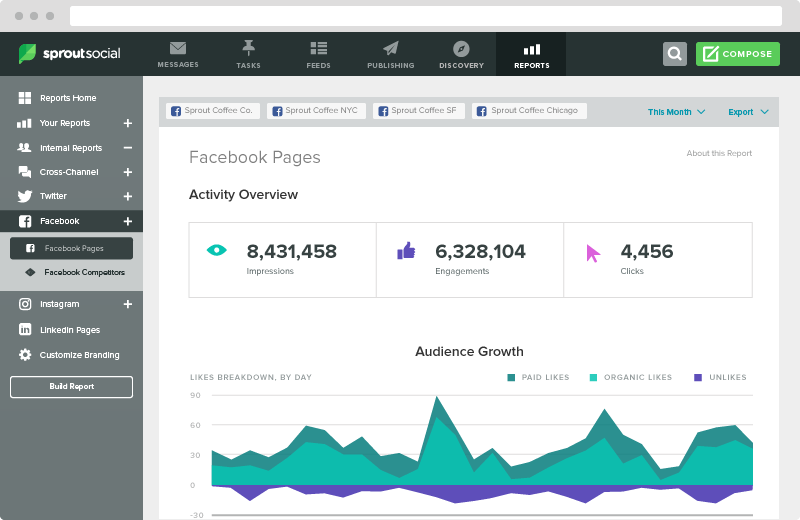 Often considered the most basic of Facebook Live metrics, reach represents the number of people who saw your post. The social platform breaks this resource down into different types of impression, including those that you earn organically, and the views you pay for. Though reach only shows you the number of people that briefly saw your video–even for as little as three seconds–data shows 47% of the conversions from a video campaign exists in those three seconds. 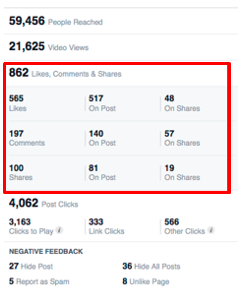 If nothing else, your reach gives you a benchmark to work with when considering additional Facebook video metrics. If you want a better view of how interested your audience really is with your content, skip “10-second views” for average percentage completion. 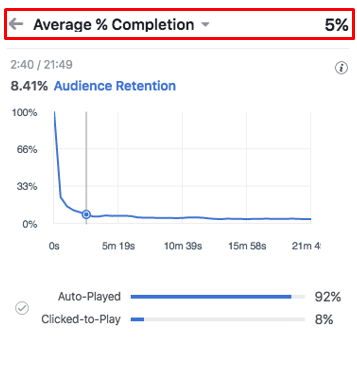 This metric shows the percentage of your video watched during any given session. Clicking on the metric allows you to dissect exactly where you’re losing customers and through a visual graph. These types of Facebook video metrics aren’t just important for your research into engagement, they’re also critical toward where videos appear on news feeds. For instance, YouTube prioritizes videos with higher watch times in its algorithm for suggesting videos. You can bet Facebook treats watch times the same way. Additionally, if you know how much of a video your audience watches, you will make more informed decisions about content length in the future. It also helps you know where to place the most important message in the stream. 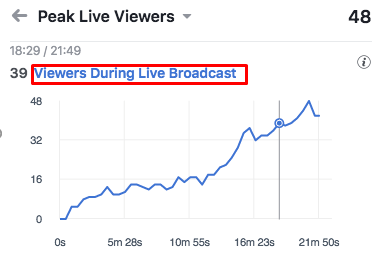 This Facebook video metric refers to the highest number of viewers who tuned into your video while it was live. You might have had thousands of viewers overall, but the highest percentage of them tuned in around the 5-minute mark. This could be a sign that your followers are getting restless during a video that’s too long. It also may indicate that you need to alter the time of day you stream your videos. If you consistently see your customers coming to your page at a specific time, this gives you a space to work with when you’re planning your next Live stream. As you continue to measure your Facebook video metrics and produce ever-more engaging content, you should see your fan following grow. After all, if people trust you to consistently produce great entertainment, then they’re more likely to “like” your page. 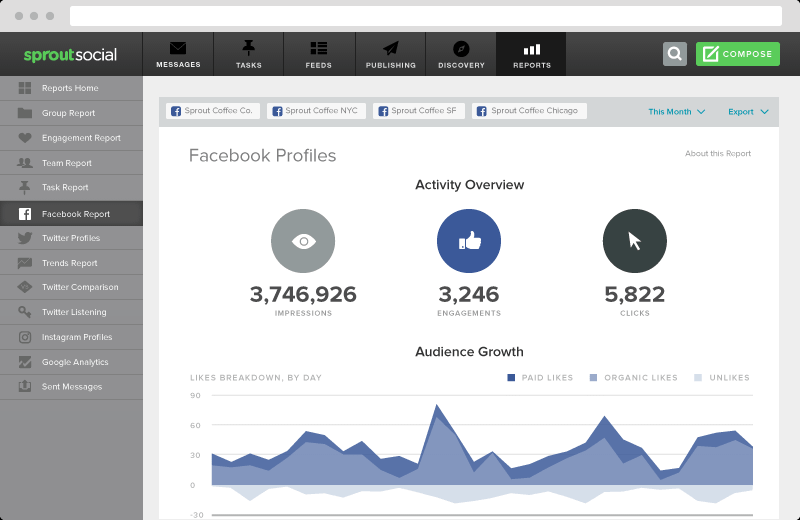 With the right Facebook tracking tools, it’s easy to measure the growth of your fans over time and see exactly how your progress is influenced by live video posts. You can even track likes to see what kind of videos are promoting growth, and which content might be sending your followers elsewhere. A great live video could be all it takes to make your content go viral, improving your reach to new audience members around the globe. It’s worth keeping an eye on how your campaign affects your brand development. When it comes to Facebook live metrics, engagement is one of the most commonly used KPIs from marketing enthusiasts. After all, a person that simply glances at your video probably isn’t as valuable as someone who directly interacts with your brand. Statistics show that viewers comment on Live videos 10 times the rate of regular videos, making it a dream-come-true for engagement. The nature of live video, where people can connect to their favorite brands in real-time, makes it instantly more engaging than most other kinds of content. It’s the closest you’ll get to actually having a conversation with your followers. 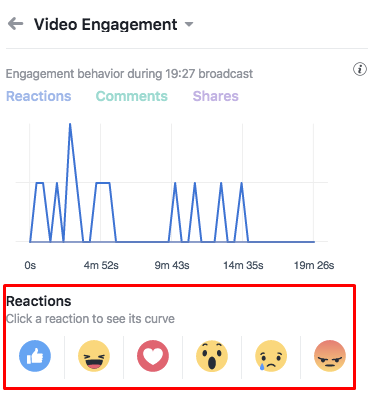 Facebook’s dashboard gives you a 28-day breakdown of video performance, so you can see exactly how much people are interacting with your content. 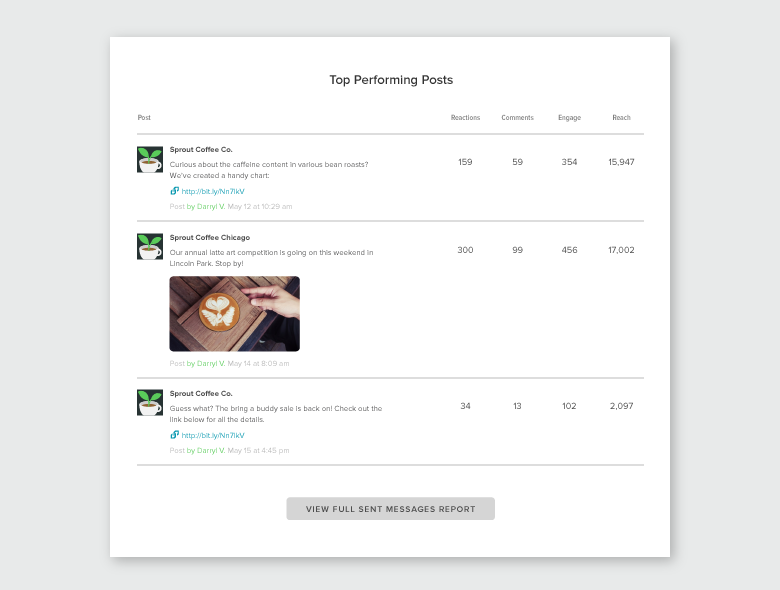 Sometimes it’s not enough to know that people are actively engaging with your content. A live video campaign is all about connecting with your customers on an emotional level. Luckily Facebook Reactions make it easier for companies to see what kind of impression they give. People can respond to your video in real-time with: Haha, Love, Wow, Angry or Sad emoticons. Each of these help you to determine that your videos make the right impact–even if they only demonstrate a minimal amount of engagement. In a world where emotional marketing is becoming increasingly important, understanding how you can reach your audience on a deeper level with different types of video content could be the key to stronger relationships and brand affinity. As most marketers know, mobile is more crucial than ever. Facebook has over a billion active users on mobile and some statistics show Facebook’s mobile popularity far surpasses its level of desktop users. With that in mind, it’s worth knowing whether your followers are actively clicking to play your content, or it’s just streaming in the background when they do other things. While it doesn’t always matter whether people view your content with the sound on or off–depending on how important audio is to your campaign–it is helpful to know if people make the decision to interact with your content. Around 85% of Facebook videos simply run by themselves with the sound turned off because of autoplay. This could help you to get a better idea of the accuracy of your engagement-based Facebook video metrics. There’s a big difference between a follower who watches your video and one that’s willing to advocate for your brand. The more you learn about your shares, the better you measure audience loyalty. That’s one of the few Facebook video metrics that could be more important than engagement. According to Facebook, around 48% of all video watch time comes from sharing. Last but not least, when you’re still building your Facebook video campaign, it’s important to gather as much information about your target audience as possible. Some of the best Facebook video metrics include top audience and top location. While these KPIs won’t tell you how much engagement you receive or what time to post videos, they will indicate the kind of people you should target. This helps you to create a user-persona that’s more specific to your Facebook video audience. If you know that most of your viewers are women, then you tailor your voice to suit that demographic. 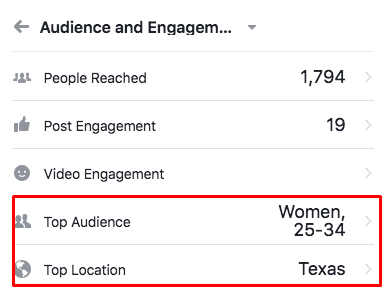 On the other hand, if you find out that people prefer to view your content in Texas, then you can make sure your next live event is “in” Texas. 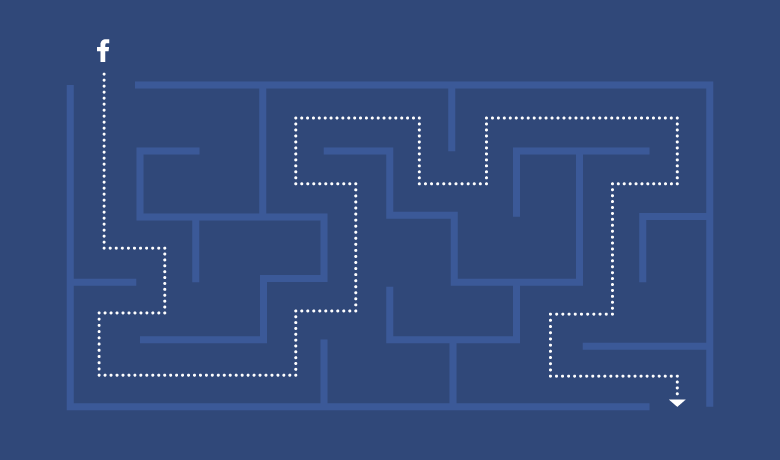 Just like dealing any performance indicator, measuring Facebook video metrics can be a complicated process. This is particularly true when you’re just getting started. Often, you’ll find yourself with a huge amount of information to work through, but you also might not know how to translate the numbers into actionable insights. The important thing to remember is that when it comes to social media marketing, knowledge is power. The more you learn about who your audience is, what they like and when they’re engaging with your content, the more you can adjust your strategy to deliver more value for your money. If you’re not already hitting record, these metrics will make sure that you create videos that deliver real, measurable value.